An opportunity for VCSE organisations to understand more about the STP and its potential relevance to their activities. An initial exploration of how VCSE organisations may be able to support the priorities within the STP. An initial exploration of how the Norfolk CCGs, NCC and other public sector health partners could support VCSE organisations in addressing some of their key challenges. 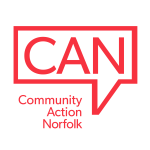 This report has been written for Norfolk’s CCGs, NCC, and VCSE organisations to provide them with an outline summary of the events, key findings and to make recommendations about future activity. Having submitted this report to the STP we are currently awaiting their response to the recommendations identified below. DI1 Develop a clear system wide approach to data sharing that includes the VCSE sector as an integrated part. This should build in operational sharing of client information to an appropriate level (potentially stratified to reflect a range of data needed from a basic awareness of a client’s background through to detailed case notes depending on the organisation’s role). DI2 Develop a revised version of the Connected Digital Norfolk and Waveney - ‘Local Digital Roadmap’, which includes the VCSE. DI3 Develop a proportionate minimum data governance approach to support VCSE organisations to engage safely and effectively in data sharing. To embed the Social Value Act criteria in all commissioning evaluation processes – carrying at least a 20% weight. A set of evaluation tools to be identified, developed, published and recognised by both sectors, and used across organisations consistently to provide comparable results, which are then made available. A forward plan to be maintained, highlighting key planning, service commissioning/development and strategic engagement opportunities. Any provider may request an open book review if they believe they are subsidising a contract. Any budget proposal that effects an external organisation is subject to an impact assessment done in consultation with that organisation. DI5/PP2/DM1 Develop a single core approach to the storage and update of information about local services and initiatives that may provide a range of tailored access points. DI6 Invest in training to support increased data literacy so that evidence can be more clearly interpreted and discussed. Where additional client data is made available invest in support to ensure a practical understanding of the implications of this information and how to respond (for example dementia awareness training). W1 Develop the STP Workforce workstream so that it includes VCSE workforce needs and considers them in an integrated way when looking at overall workforce planning. This should reflect the recruitment and development needs of both paid VCSE staff and volunteers. If it has an impact directly or indirectly, those organisations should be part of the conversation early as ideas are shaped and developed. The conversation should be structured in such a way that they are able to engage with it and they should have a meaningful ability to influence the outcomes of the discussion. PP3 Commit to engaging with the VCSE Sector Leadership Group. This is a model developed by the VCSE sector which provides a platform for ‘upstream’ discussions mandated by the sector. It is broadly representative and able to support communication with the wider sector. R1 Ensure any transfer of demand on to the VCSE as a result of the STP is recognised through the planning process and appropriately resourced. Enable access for a wide range of providers. R3 Look to implement the ‘5 Asks’ developed by the Sector Leadership group to support a better relationship between the VCSE and public sectors. These are outlined above in DI4 and target many of the key issues for medium to large organisations. GH1 Improve funding practices by committing to move away from short, fixed term funding for VCSE agreements to longer term (e.g. 3 year) funding. GH2 Complete asset mapping in key areas, for example in areas of high need or where poorest health outcomes are experienced. GH3 Develop a clear operational strategy and action plans linked to the STP vision.